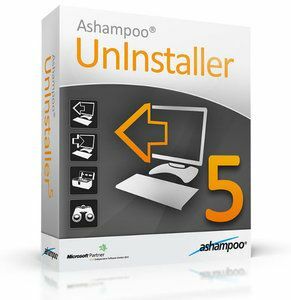 Ashampoo UnInstaller 5 is the ideal solution for all removal, cleaning and maintenance operations on your PC and the all-in-one user interface paired with seamless Windows integration will transform otherwise tedious tasks into a pleasant experience. Ashampoo UnInstaller uses clever real-time technology to monitor system changes during program installations. This way, Ashampoo UnInstaller 5 can completely remove monitored installations including otherwise orphaned files and registry entries. For even better results, Ashampoo UnInstaller 5 comes with additional cleaning tools to remove redundant registry entries and clean your drives. Besides completely removing your programs, Ashampoo UnInstaller provides multiple additional maintenance and administrative tools to keep your system fast, clean and responsive. Ashampoo UnInstaller 5 is our premier solution to remove all traces of no longer needed applications, clean your system from residuals and maintain peak performance. Through the use of high-performance algorithms, UnInstaller 5 is easy on system resources and ideal for both low-end and high-end systems. UnInstaller 5 was designed to bundle common tasks in a well-organized user-interface. Once active, Ashampoo UnInstaller will silently monitor your installation in the background and not interfere with the actual installation process. UnInstaller 5 is our most performant uninstaller ever. Our developers have discovered a new way to monitor your system during installations providing maximum accuracy at minimum system resources. In UnInstaller 5, performance is king. * Installation Monitoring 2.0. No more before-after-comparisons. Ashampoo UnInstaller 5 monitors file and system operations in real time with smart filtering technology, rendering CPU-intensive logging operations obsolete. * Additional Cleaning and Maintenance Features. Manage system fonts and restore points or remove invalid shortcuts and file duplicates. With Ashampoo UnInstaller 5, it is even possible to overwrite empty disk space to render deleted files unrecoverable and protect your privacy. * Backward Compatibility. Already own Ashampoo UnInstaller 4? Make the switch and simply reuse your existing log files.